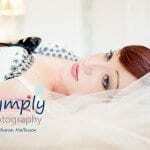 Yes – this is your opportunity to win a complimentary boudoir photoshoot with Symply Boudoir! How can you do that? Easy – I have compiled a few short questions about boudoir photography. The aim is for me to to be able to understand what my potential clients are looking for. So it helps me build my business and improve the whole boudoir photography experience. We also have a few new ideas we’d like to try out. The prize is a free makeover, and a one hour photoshoot with a complimentary 12×8 mounted print. Other images are available to purchase You must be willing to allow your images to be used for publicity purposes. The draw will take place as soon as I have had 50 questionnaires filled out – so please share this page with all your friends! Ready to have a go? (if you need further convincing – click here to see some of the many reasons why a woman has a boudoir photoshoot – which category do you fall in?) Let me know on our facebook page! “”Wow – what an incredible experience! I was absolutely terrified about going for the Boudoir photoshoot, but Sharon and Katie made me feel relaxed from the moment I arrived. I was hoping to have one or two ‘half decent’ photos from the experience, I was not expecting the number of stunning/incredible/amazing photos Sharon actually produced. To say I am delighted is a complete understatement! I cannot recommend Sharon highly enough. The whole experience was fun, tasteful, classy, empowering and confidence boosting with a capital B! Yanna blakey - I would love to Be entered into your competition. I am very body shy. But looking at your work. And you make it look beautiful and not sleazy. And I never know ? It could be done like that.